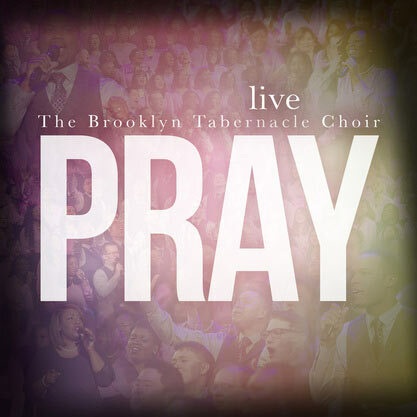 Brooklyn, NY-- The six-time Grammy award-winning Brooklyn Tabernacle Choir's new CD entitled PRAY has hit the #1 spot on Billboard Magazine's Gospel Albums Sales Chart this week. PRAY previously debuted at #1 on the iTunes Christian/Gospel albums chart, and has already produced two music videos for the title song as well as the worship tune "At The Cross." Choir director Carol Cymbala believes church choirs are still an essential part of corporate worship. "I really believe that it's very important in the church today, if we are going to have a choir, that the people in the choir need to be committed members, who have a heart for God and a heart for ministry," says Cymbala. "I also believe that choir directors need to focus on seeing lives changed through the power of the Gospel in song. There's just something really beautiful and powerful about seeing so many people lifting their voices to the Lord in praise in one accord. I pray that there would be more choirs that would be raised up in the day that we are living in so that we can sing a song of praise and victory to our God because He is worthy of all our praise." The Brooklyn Tabernacle Choir will perform at Chris Tomlin's Worship Night in America event at Madison Square Garden on August 8. Additionally, the Brooklyn Tabernacle Singers will be performing in Naperville, Illinois at the Calvary Church of Naperville on Friday, June 19 for a free event featuring Pastor Jim Cymbala. In addition to their six Grammy Awards, the choir has garnered seven Dove Awards (Gospel Music's Grammy equivalent), two #1 Billboard charting CDs and over four million albums sold. The Brooklyn Tabernacle Choir has performed at major music venues such as Radio City Music Hall, Carnegie Hall, and Madison Square Garden. The choir sang "The Battle Hymn of The Republic" at President Obama's second inauguration ceremony on the steps of the U.S. Capitol to a worldwide television audience of over a billion people. The Choir has performed on various national TV shows including Good Morning America and Fox and Friends, among others. Brooklyn Tabernacle Choir was featured on the cover of The New York Times and highlighted in Time Magazine. For more information, visit www.brooklyntabernacle.org.